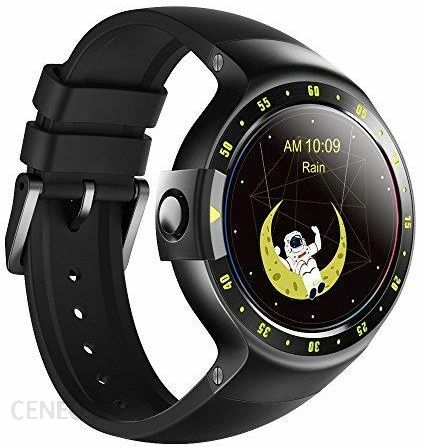 I am trying to find this watch face from the TicWatch Pro page. Can't seem to find it! Any help would be awesome! As far as I understood, I have to download the watchfaces directly on the watch through the Google Play store, right? if I try to look for any watchfaces from the attached links, I always see this error on the playstore: page not found. if I search directly from the playstore of the phone or watch, using the suggested search keys, I can not find anything. i have an tichwatch E.
I made an announcement. We took down all the watchfaces from the Mobvoi Store to review certain GDPR policies. We will upload them in due time:) Sorry for the inconvenience. Good day any update on when the watch faces will be available again? When will the watch face be available? It took me awhile to purchase my ticwatch pro because it's hard to ship it in my country. Finally got it last week. Anyway, while i was looking for watchfaces, i found this thread and realized that watchfaces by mobvoi are actually the ones i like. So i was a bit disappointed when my phone said that they weren't compatible with my device. I read further and found out they were taken out of google play, it's October now and latest post on this thread was June. Still havent found a way to make them work on my ticwatch pro. I searched for it on my watch's play store and followed the instructions mentioned here, still didn't work. Anyway, i forgot where i found it but i found a link of mobvoi store on some of the forums I've visited. Downloaded it, dont really understand the apps available for download there because it's in Chinese... But there's a tab that says watch faces, in english. I'll attach a screen shot if i can. When u download a watch face, it don't immediately show up on your wear OS app. You go to your watch's google play, scroll down to the part where all your downloaded apps (from across all your devices) show up. Find the name of the watch face you've downloaded from mobvoi store, and install it from there. After that, the watch face will appear both on your watch and on your wear OS app. Hope this helps! I am trying to find where all of these different Tic watchfaces are? This is a cut and paste from the mobvoi website. What am I missing here? Personalize your Ticwatch Pro with thousands of watch face options available on Google Play™. Let your watch face reflect your mood and be unique with hundreds of watch faces made exclusively for the TicWatch line. Any update on the watchfaces? Hi, what is this app from your screen shot? Do you have any link for download it? I can find only 4 watchface from Mobvoi Watchface? I have been waiting to download watch face displayed in ads for months. None of those watches are loadable!!! I have Samsung Galaxy S8+ and Ticwatch Pro?